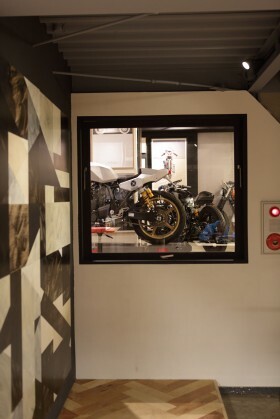 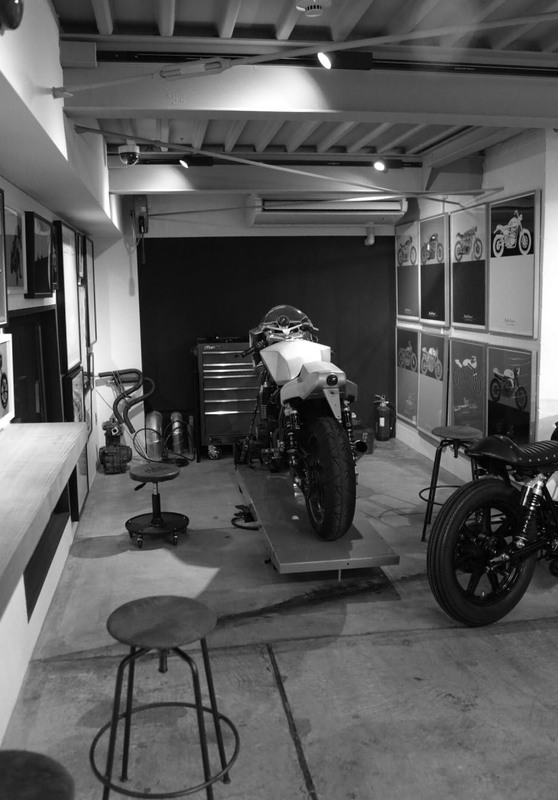 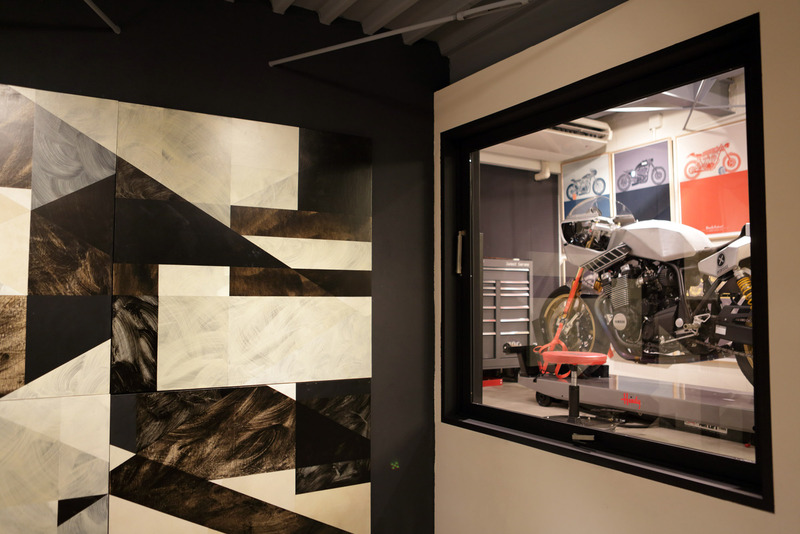 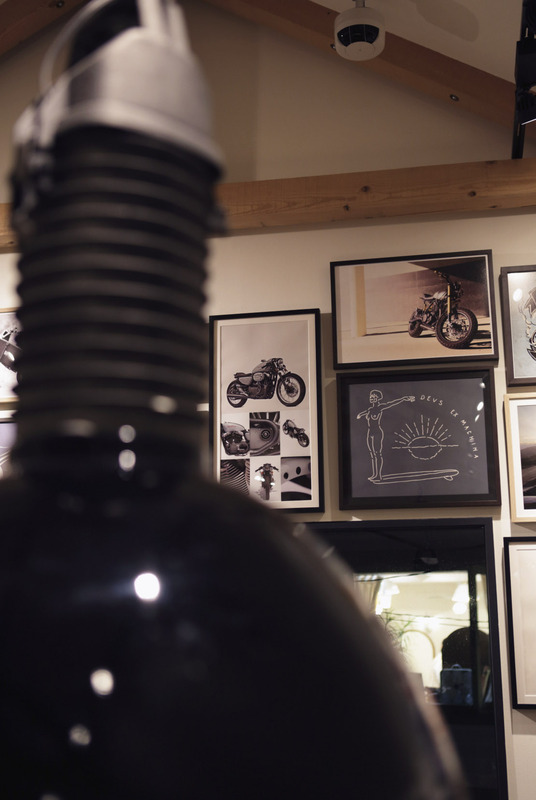 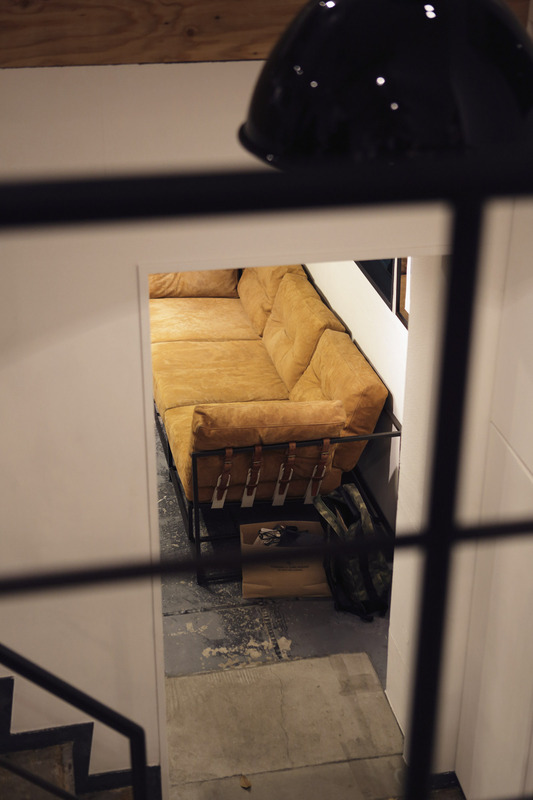 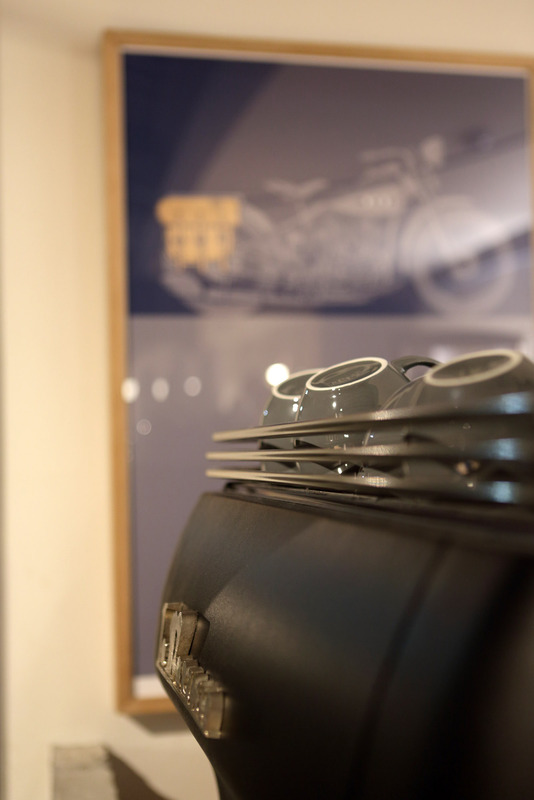 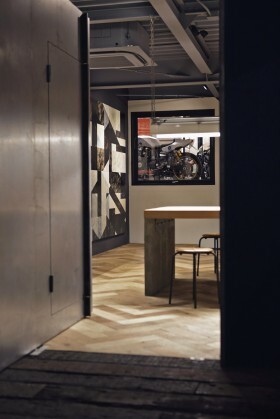 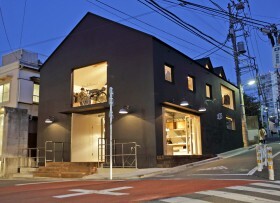 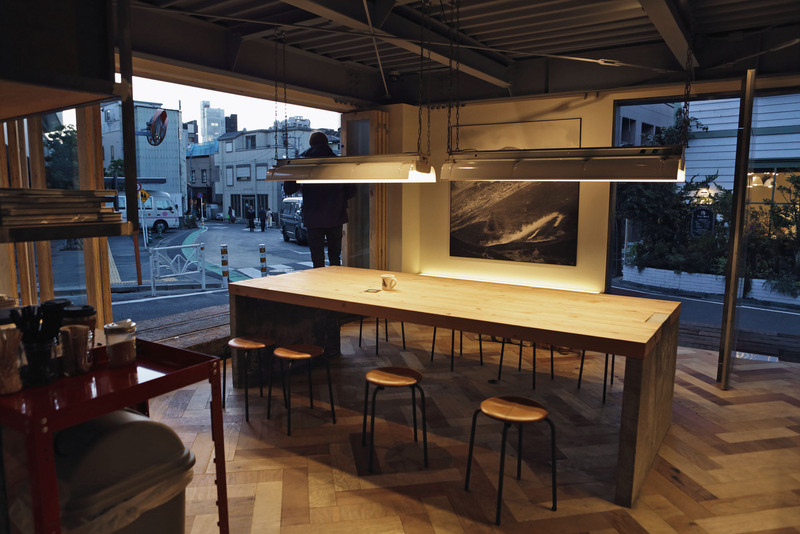 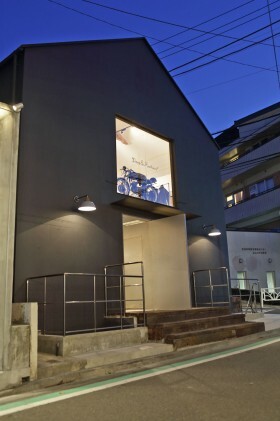 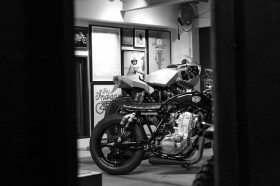 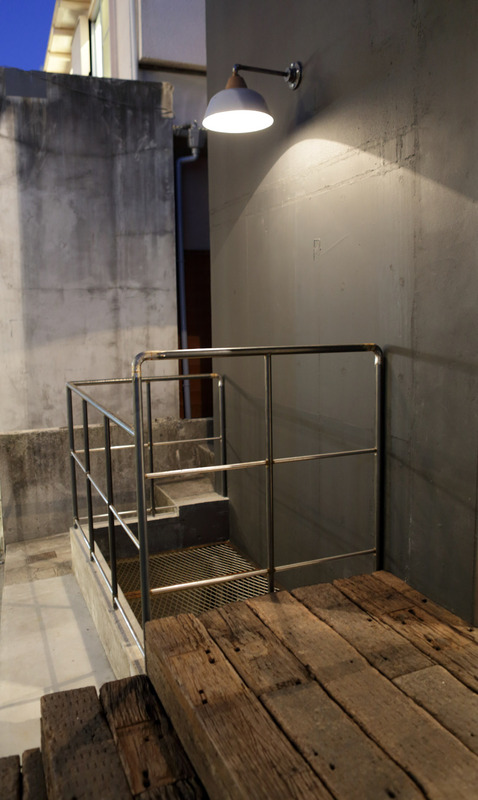 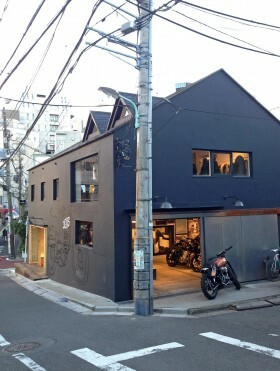 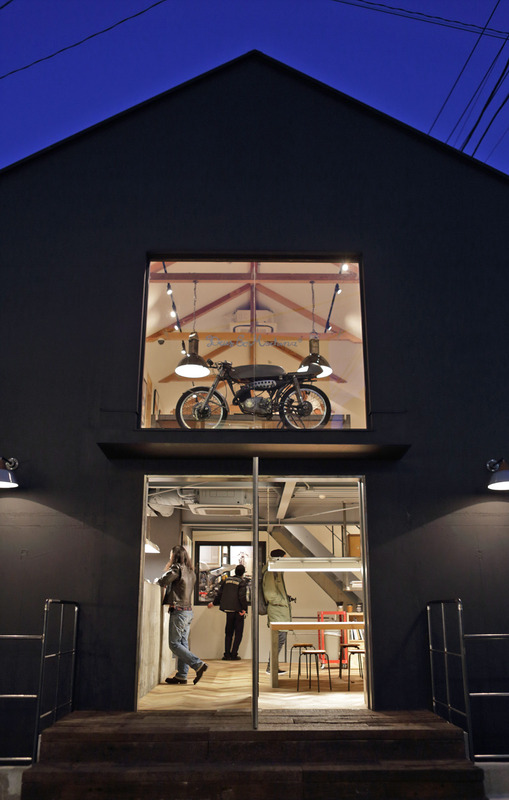 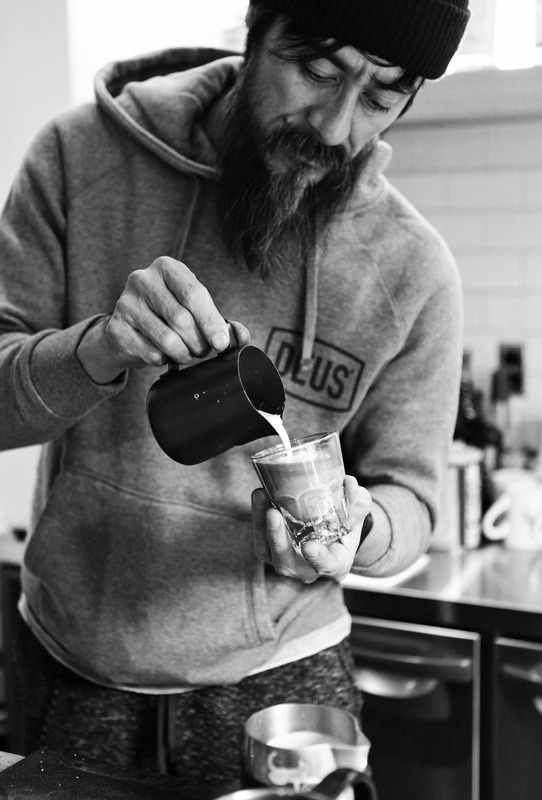 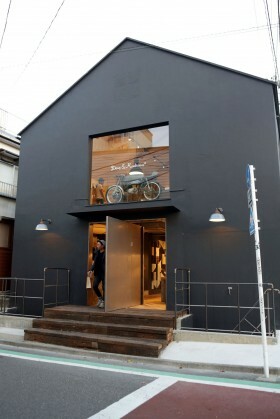 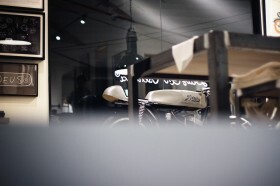 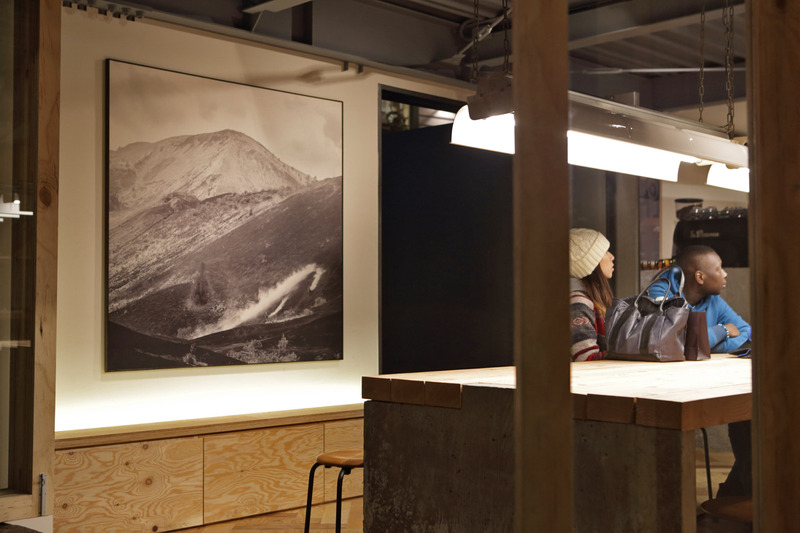 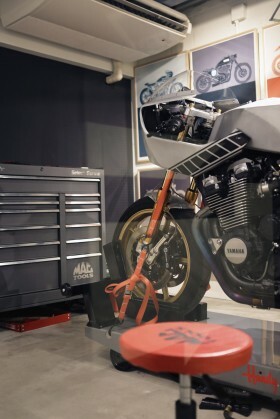 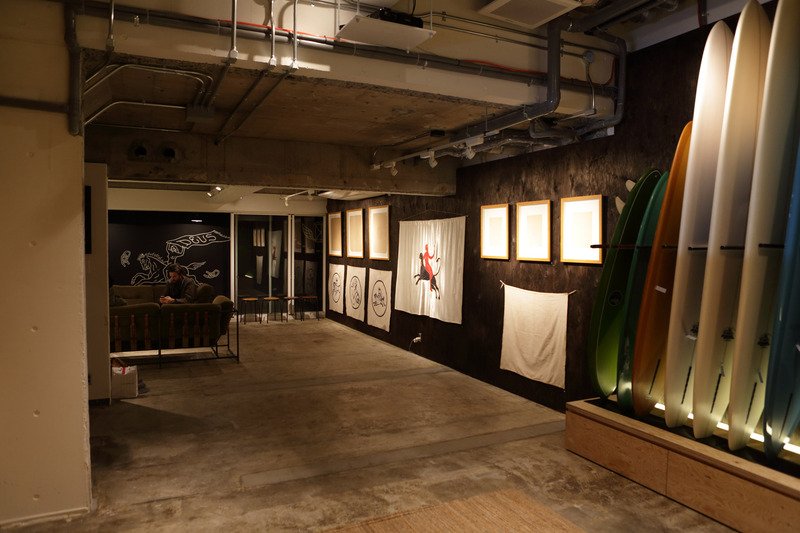 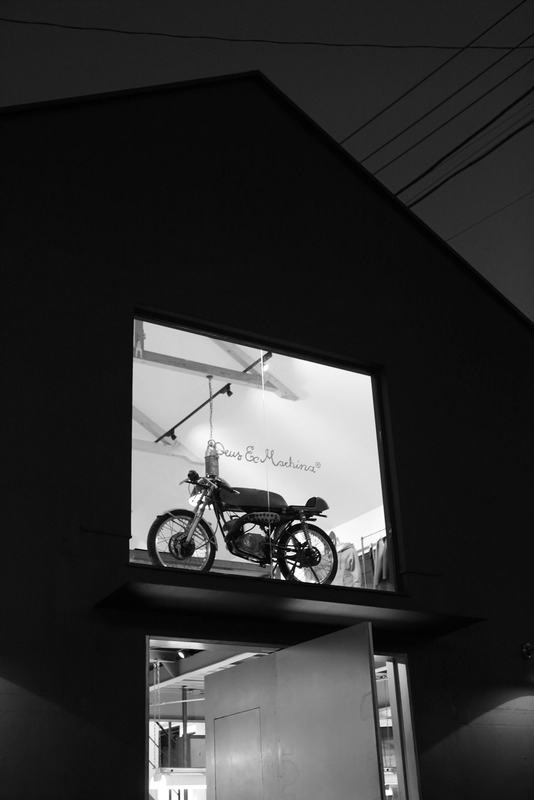 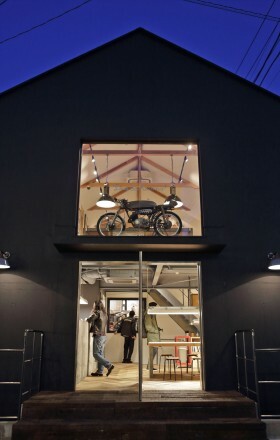 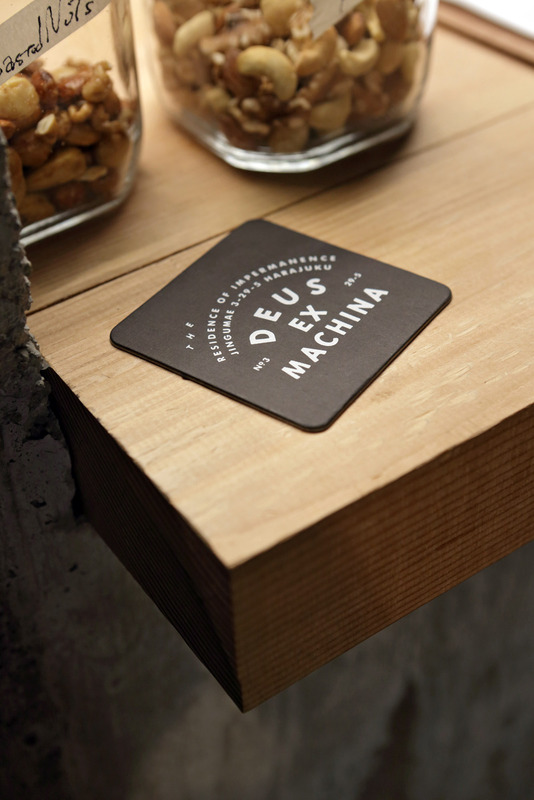 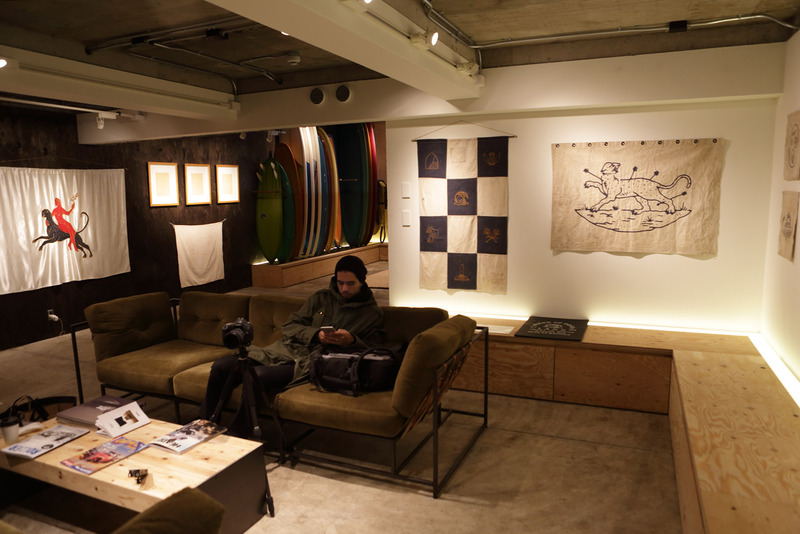 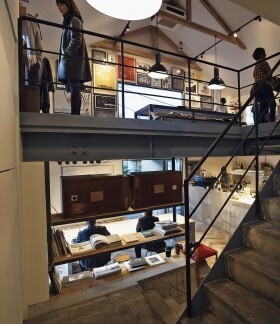 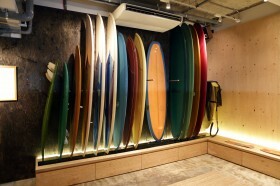 Opened in December 2014, The Residence of Impermanence is the newest Deus Ex Machina flagship concept store in the thriving district of Harajuku. 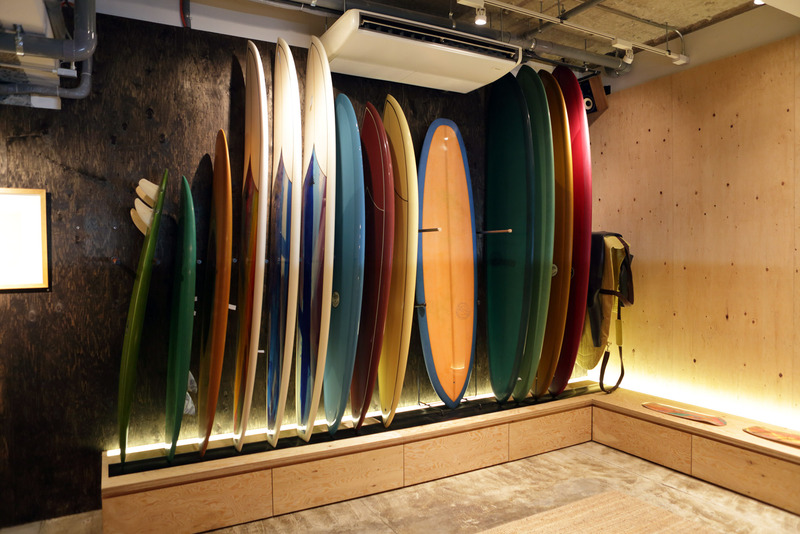 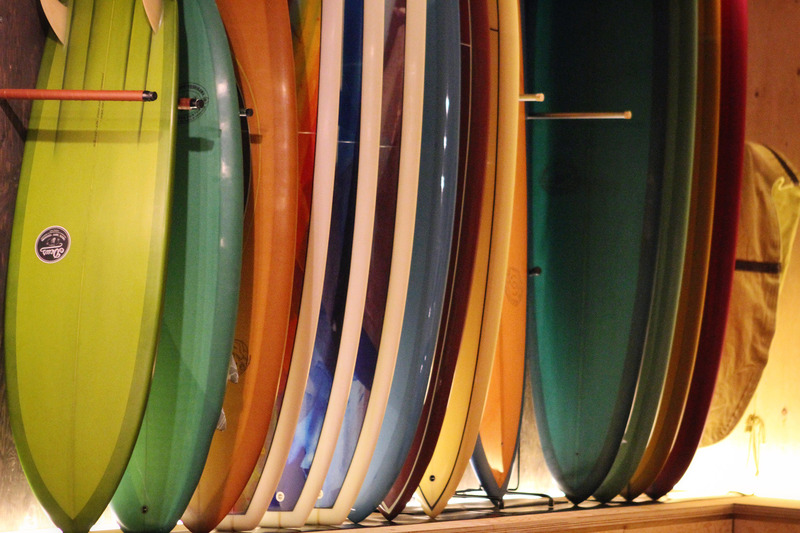 A free standing three story building which was once home to the vintage clothing specialists Santa Monica was partially demolished and rebuilt to create the residence that now houses a cornucopia of art, surfboards, motorcycles and apparel. 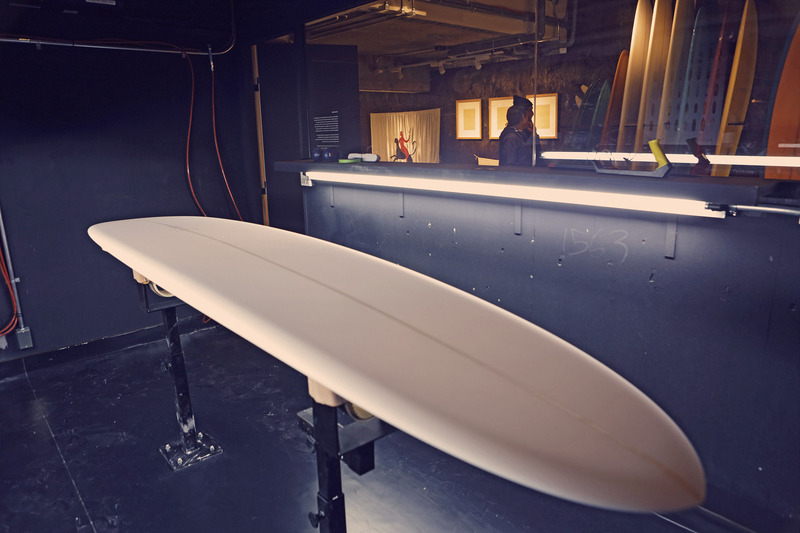 A lot of moving parts are packed into a the skin of the building – a full service surfboard shaping bay in the basement plays host to touring shaper like Thomas Bexton under the watch of resident shaper Takuya ‘Tappy’ Yoshikawa. 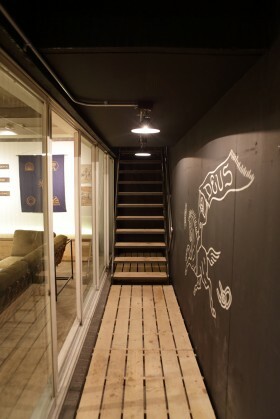 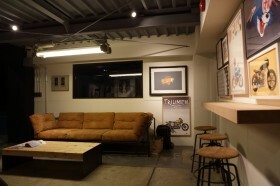 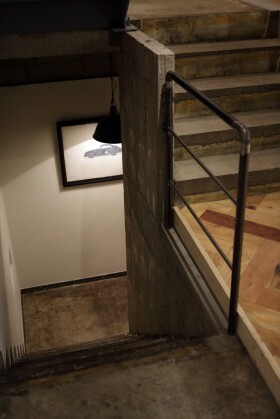 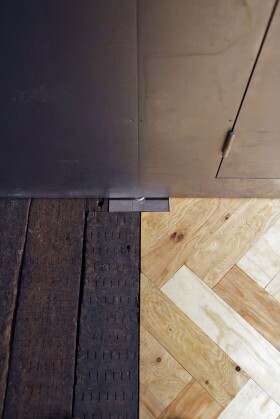 The basement also contains the generous gallery space which was launched by the LAND boys and their Texas In Tokyo installation (on display until Jan. 13 2015). 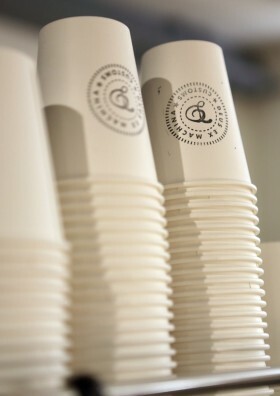 The top floor is an expansive retail space overlooking the cafe below, bathed in natural light and always freshly stocked. The ground floor is home to the cafe/bar and motorcycle workshop on the ground level mezzanine. 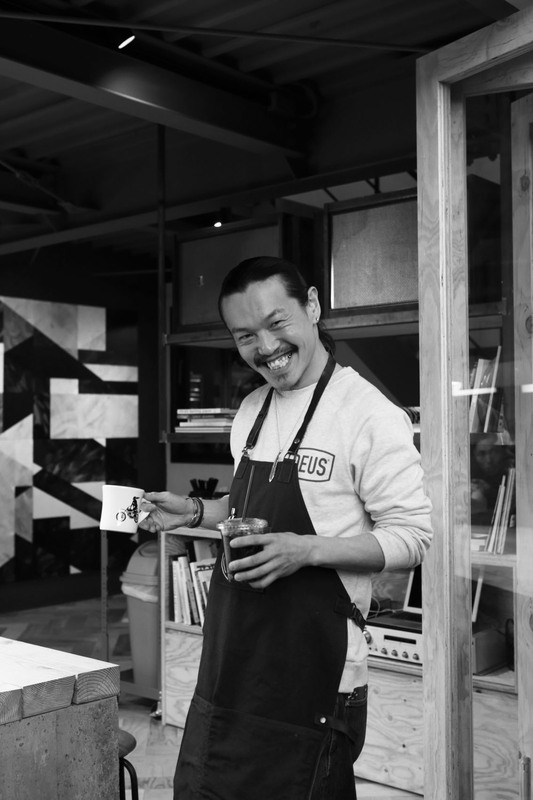 The cafe is open from 9am for special blend coffees and Mama Lulis’ granola and stays open until 11pm, when your host Yoshi San swaps pouring perfect Cremas for mixing Cuba Libres. 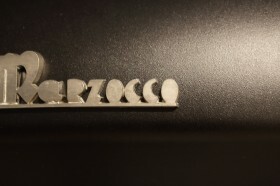 A special collaboration was commissioned between Truck Furniture and Stephen Kenn for the sofas in the building. 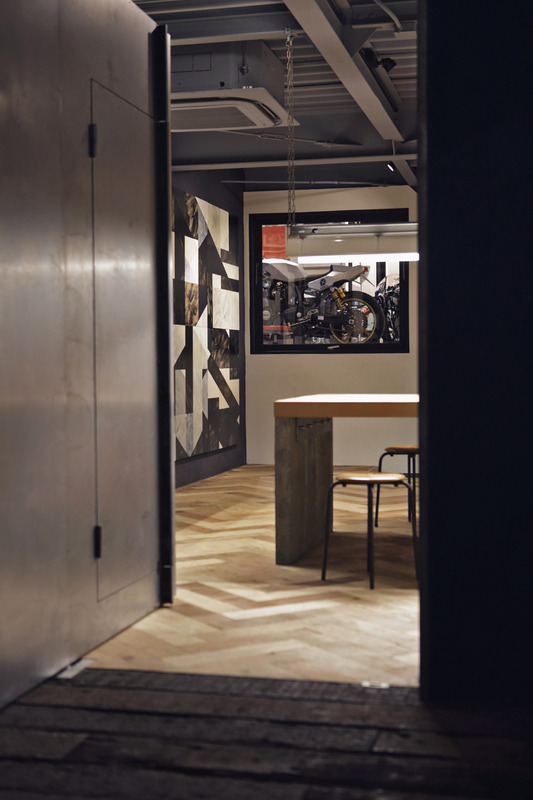 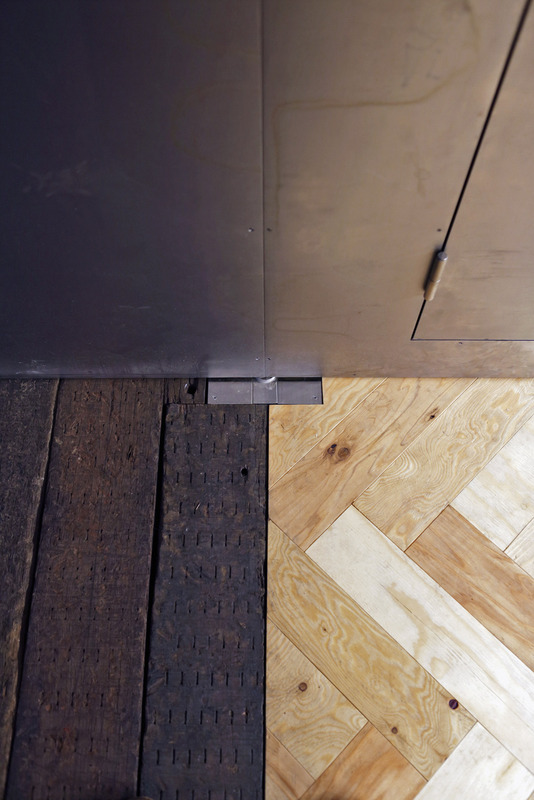 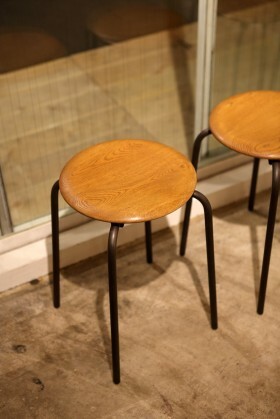 The fit out uses recycled Japanese cedar, Corten steel that have been designed to age and change appearance with time and wear. 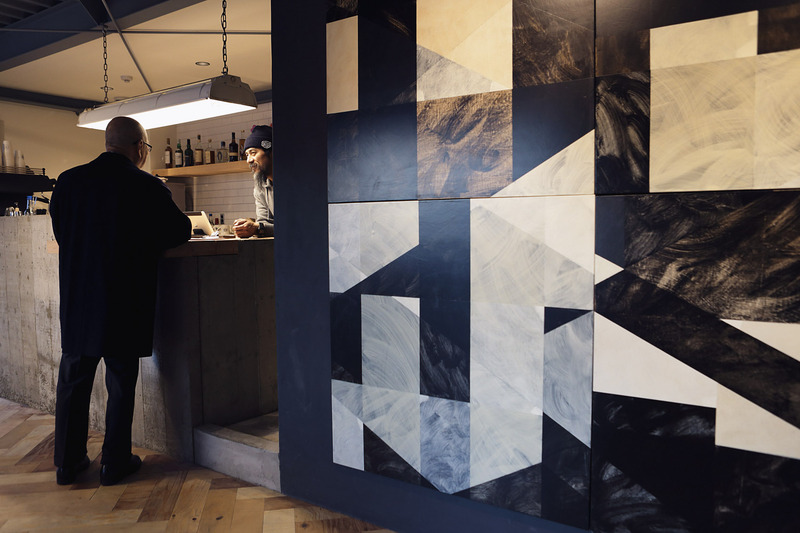 The signature cast concrete communal table anchors the cafe space and a new piece from Robert Moore graces the main wall. 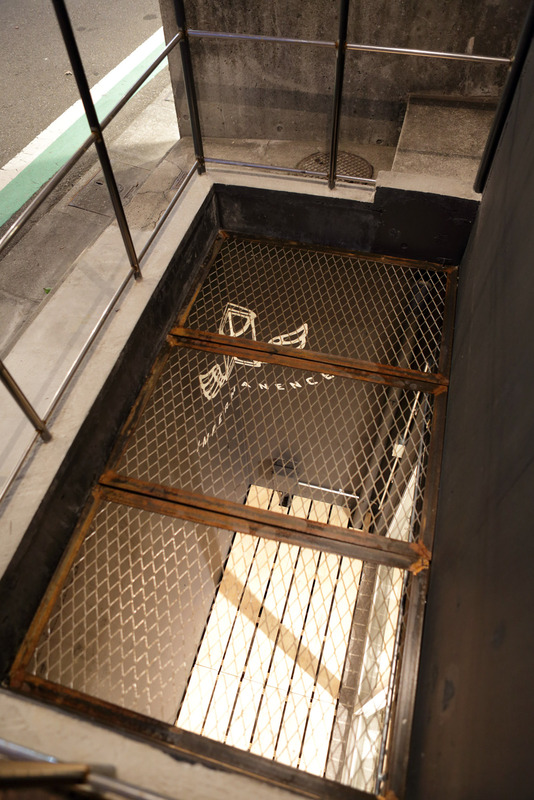 The location is at the northern most end of Cat Street, near United Arrows. 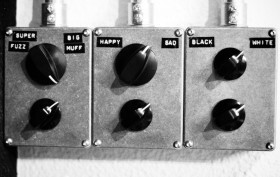 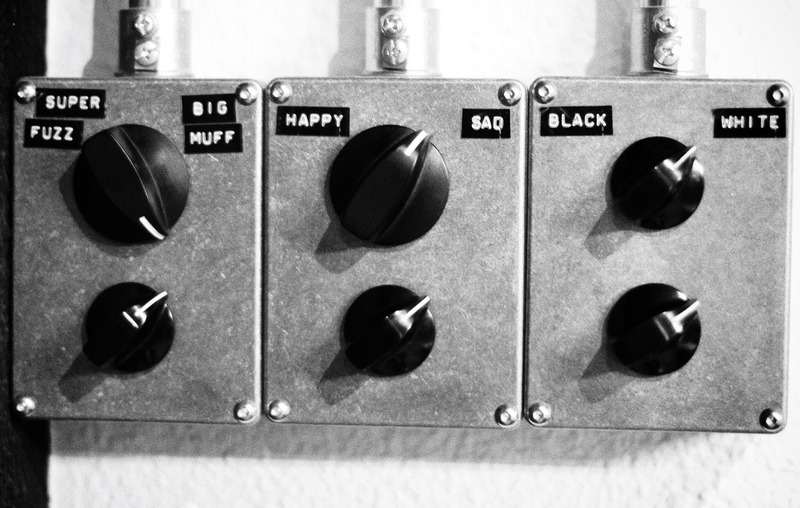 Knock loud…we are always home!